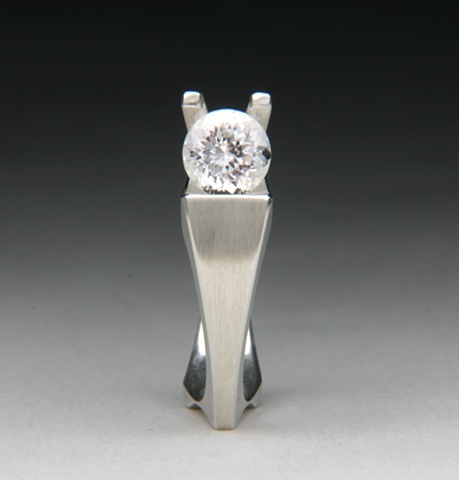 The silver Snail ring is a contemporary design set with a white Danburite. This stone has a a nice cut and sparkles well. This ring is worn with the stone sitting on the side. It gives the appearance of the stone sitting in between the two fingers. It has side comfort fit curves, so the ring is comfortable between each finger.